The road to hell is paved with good intentions, but its hard to say whether E.L. Robert Stokstad's intentions were entirely pure when he decided to feed manure to baby chicks. The post -war era was a hotbed of innovation for those interested in chickens. Farmers and scientists were working out new ways to grow bigger chickens for less money, and more profits. Into this milieu wandered E.L. Robert Stokstad, and he had a difficult problem to solve. The baby chicks were dying. At the time, a lot of farmers provided their chickens with grains, and chickens were free to roam the farmyard to supplement their diet with whatever insects happened to cross their path. When intensive farming became more popular, grains ended up playing a larger role in the diet of chickens, until they could get nutrients elsewhere. This lead to malnutrition, and the deaths of baby chicks. E. L. Robert Stokstad found there wasn't enough protein in the grains. That lack of protein in grains was killing those chicks. So the race was on to find a cheap source of protein. Some researchers used ground up salmon pellets in with their feed. But it was Hammond and Titus who discovered the somewhat wondrous properties of Cow Manure. When they fed baby Chicks cow manure, they not only survived, but they grew up bigger than the other chickens. It was E.L Robert Stokstad who decided to find out why. At first, he believed that the reason boiled down to bacteria, and vitamin B12. It was already known at the time that vitamin B12 was a useful dietary supplement, and that some species of bacteria could produce a lot of it. So perhaps there were lots of B12 producing bacteria nestled within the manure, making it surprisingly nutritious. They believed that the bacterium in question was Streptomyces aureofaciens, a common resident of cow manure. So he performed an experiment. He fed chicks with feed containing the bacterium, compare with pure vitamin B12 extracted from the liver. Both groups of chicks were expected to grow more than controls that just fed grain, and if these groups grew the same, then he could reasonably say that the manures effects were due to B12. Then something strange happened. The chicks fed with the bacterium turned out to grow much bigger than the ones fed with just the vitamin B12. Something else was going on. Streptomyces aureofaciens must have been producing some other factor that was helping these chicks grow. Stokstad eventually realised the identity of this factor: it was aureomycin. It was a compound that was already widely known of, because it was also being sold as an antibiotic. 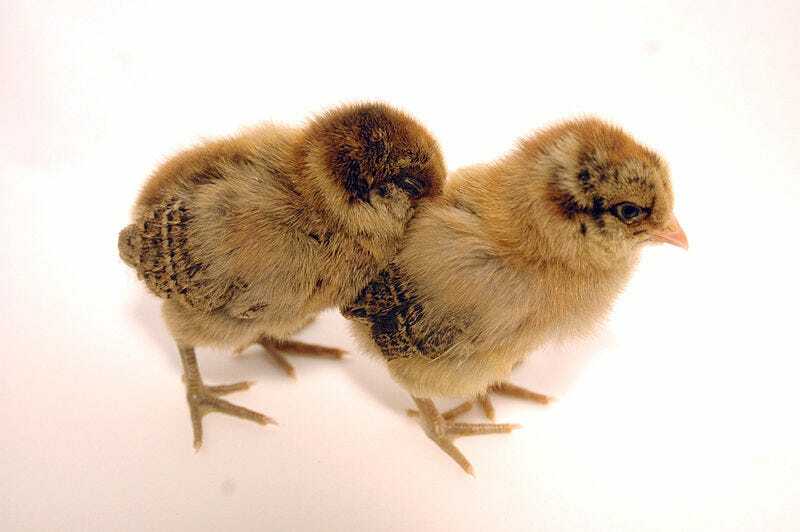 It's properties for helping chicks grow lead it being sold as the first antibiotic growth promoter. To say it was popular is an understatement, Growth promoters took off in pig farms, cattle farms. Wherever a farmer felt their wallet strained by the price of feed, growth promoters were there to help. We have the prospect of more antibiotics being sold in the USA, as growth promoters for food in farm animals than are used for clinical medicine. It wasn't long before that became true. E.L. Robert Stokstad may have discovered antibiotic growth promoters, granting us our wish for cheaper food, at the expense of our future health. But he was not to blame for what was one with his discovery, for the years in which people ignored the scientific evidence that our farms were incubating the post-antibiotic era. What if people hate "The Force Awakens" ?